A Mind at Home with Itself is a book about generosity. It’s structured around the Diamond Sutra, one of the great spiritual texts of the world (newly translated in these pages by Stephen Mitchell). The sutra uses the diamond as a metaphor. In the same way that a diamond can cut through any substance, inquiry cuts through any stressful thought, any blindness or delusion of the mind. The sutra is an extended meditation on selflessness. The original stressful thought is the thought of “I.” To the clear mind there is no self and no other, and once you begin to understand this radical truth, generosity is the natural result. 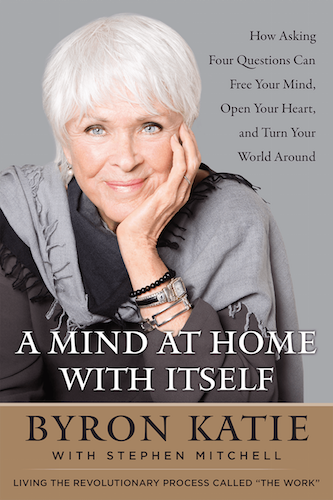 In this book Byron Katie doesn’t merely describe the awakened mind; she empowers us to see it and feel it, in action. If the definition of a superhero is “someone who uses his special powers to fight evil,” then Beowulf is our first English superhero story, and arguably our best. It features not one, not two, but three monsters. It is also a deeply pious poem, so bold in its reverence for a virtuous pagan past that it teeters on the edge of heresy. From beginning to end, we feel we are in the hands of a master story-teller. Stephen Mitchell’s marvelously clear and vivid rendering re-creates the robust masculine music of the original. 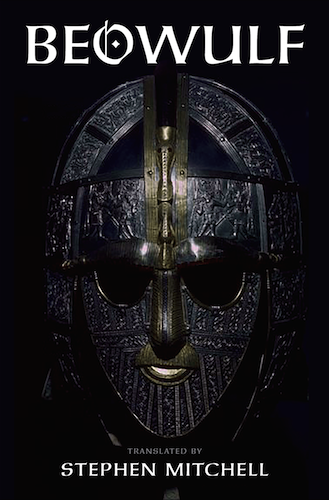 It both hews closely to the Old English and captures its wild energy and vitality, not just as a deep “work of literature” but also as a rousing entertainment that can still stir our feelings and rivet our attention today, after more than a thousand years. This new translation—spare, sinuous, vigorous in its narration, and translucent in its poetry—makes a masterpiece accessible to everyone.